Welcome to the Dunes of Crystal Beach! The Dunes of Crystal Beach Vacation Rentals are located on Scenic Gulf Drive West in Destin Florida! This condominium provides you your own private balcony that overlooks the gorgeous beaches of Gulf Shores! Spend some time in the community pool, community BBQ grills, fitness facilities and much more. A majority of these properties have 4-5 bedrooms with 3-4 bathrooms. While on your stay make sure you visit the local attractions and restaurants that surround you! Such as Cafe 790 or Pompano Joe's! Lets not forget about Big Kahuna's water park, HarborWalk Village, The Track and much, much more! One of the most popular places is the HarborWalk Village. Take the whole family down to the HarborWalk for tons of fun, including rock climbing, parasailing, fishing and many different restaurants we are sure you'll enjoy! Thank you for visiting Emerald Coast By Owner for all your vacation needs! 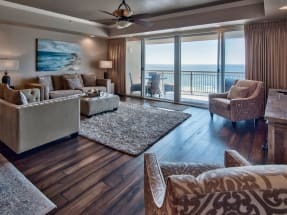 Make sure to contact the owner today if you are interested in staying in the Dunes of Crystal Beach condominiums!